2017 has been tough if you are in the restaurant biz. With occasional signs of optimism slipping in every once in a while, the year has been a bust for most chains. 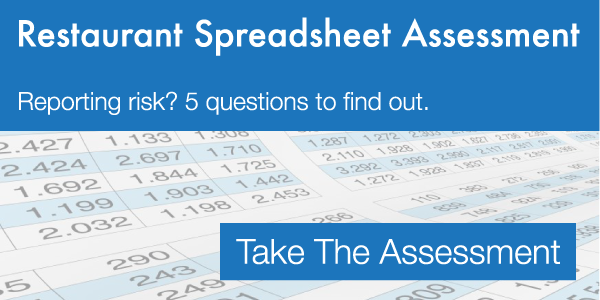 Many of the companies who produce the benchmark numbers for the industry continue to mistakenly look at same-store-sales, and failing to draw justified alarm to the reduction in customer traffic. I have been beating this drum for over a year now, and I am happy to say I do see signs that the traffic problem is getting mentioned more often of late. 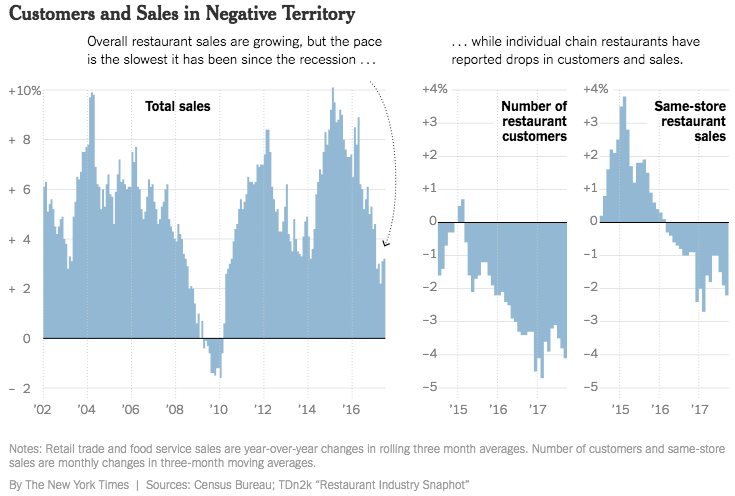 Here is the latest story from the New York Times on a possible cause of the traffic malase - overdevelopment (https://www.nytimes.com/2017/10/31/business/too-many-restaurants-wall-street.html?smid=tw-share). On a two-year basis through September, the Mirus Index shows a decline of -8.0% across all segments. The bad news is that October will be worse when all the numbers are collected. And, it's not just Mirus Index showing the alarming trend. Here is an graphic from the NY TImes article that sums it up nicely. 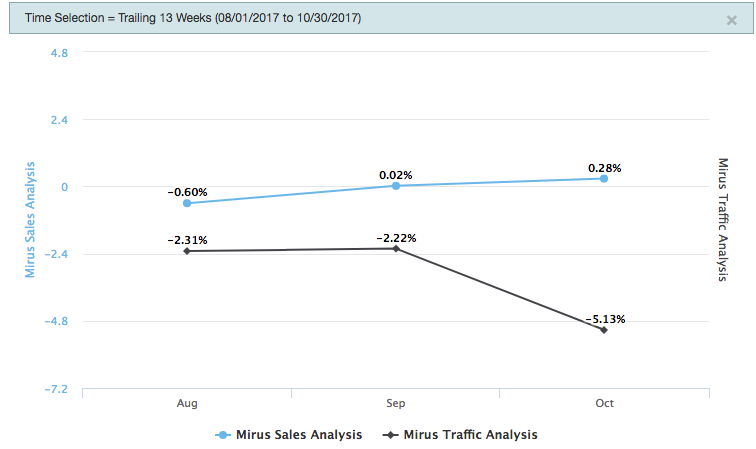 Same store sales continued to keep its nose above water in October, but just barely according to the Mirus Index. The traffic results in October are disappointing. For the previous three months, the Index showed slow, but steady improvement in customer traffic. All of that came crashing down in the past few weeks. On the upside, the Index shows a decline in discounting, and an associated increase in Average Check. That should at least provide some profit margin relief to operators. The trouble with traffic is long lasting and will determine the direction for the industry until we figure out how to get the customers back. Keep in mind the Index is an average. There are brands out there with far worse numbers. We can expect to see a continuation of bankruptcies from those chains that lack the balance sheet to weather this vicious storm. How did your restaurants fare this month? Watch Mirus reporting demonstrations and client insights on our YouTube Channel.